We can solve this problem by looking at the times and lengths of the packets. 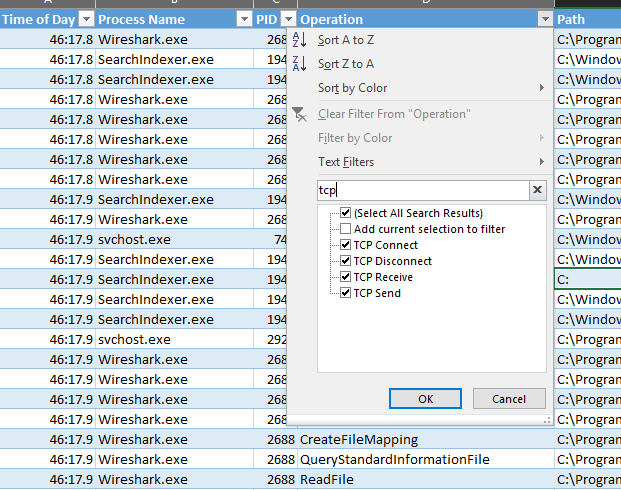 To make things a little easier to read, I'll use the csv output from Procmon and use windump to filer the packets. 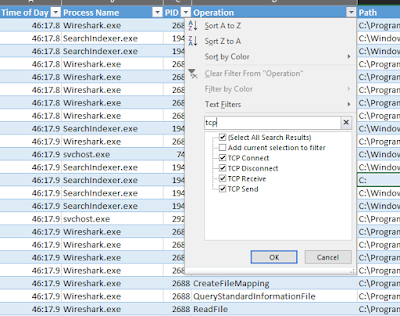 The first thing I do is filter the Operation column so it contains tcp events. 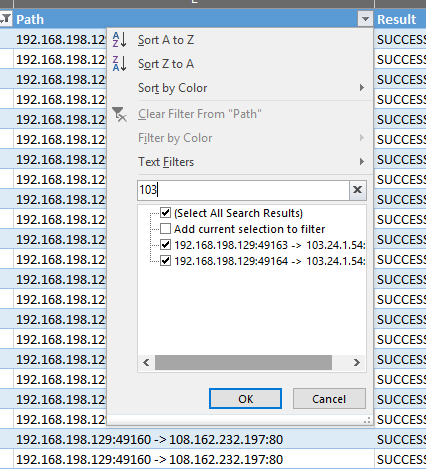 And then I filter the Path column by the IP address I am trying to match. The number in the parentheses is the length of the packet. Once we start matching the approximate times and the length of the packets, the picture becomes a lot clearer. 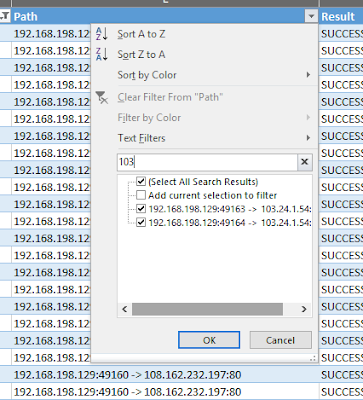 I hope this helps anyone trying to compare packet captures to Procmon output.